Blockchain technology could drive the most significant change in society since the American Revolution, U.S. Rep. Tom Emmer says. But only if regulators resist the temptation to be heavy-handed. But the transformative potential of blockchain and cryptocurrencies will never be fulfilled if regulators overreach, he said. Emmer said the U.S. would do well to mirror Japan, where only one regulatory body, the Financial Services Agency, has jurisdiction over cryptocurrencies. Yet government regulation is not the only way to achieve clarity and certainty about the rules of the road, Emmer claimed. In any event, Emmer said Congress is not yet ready to act and that he didn’t expect to see related bills emerging in the near future. Emmer did suggest, however, that legislators could eventually develop “some actual proposals” in the next legislative session beginning in 2019. And while he said that his colleagues on the caucus were treating blockchain and cryptocurrencies as non-partisan issues, he would not be surprised if they were eventually politicized. He added that he was unsure of what that “something” might entail. 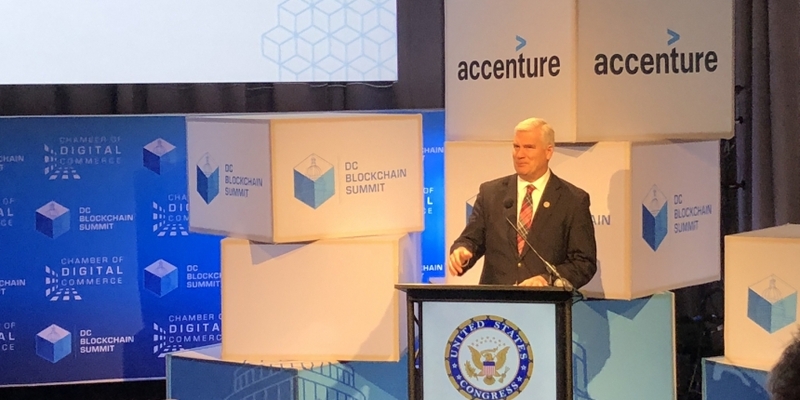 Regardless of any future efforts politicians and regulators might make to assert their influence over blockchain and cryptocurrencies, Emmer said he is largely optimistic.